Comprehensive Ba Zi Compatibility to find the most auspicious date and time for your First-Time Open Door/Move-In Dates and Time. Includes First-Time Open Door/Move-In Procedures. Comprehensive wedding date service to help you find the most auspicious for ROM or Wedding Dates. 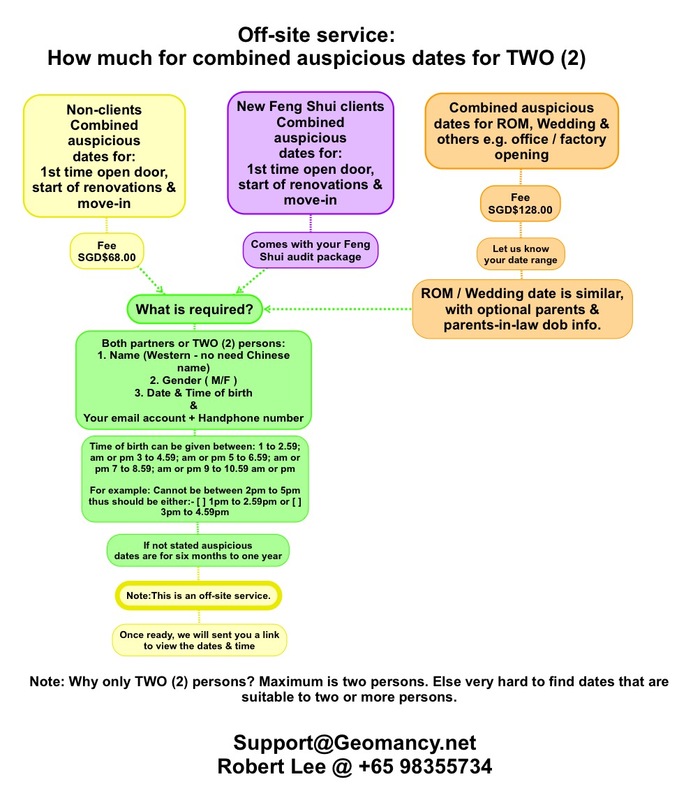 Comprehensive Ba Zi Compatibility to find the most auspicious date and time for your ROM/Wedding Dates and Time. Includes Guo Da Li (过大礼) / An Chuan (壓床) Dates and Auspicious Timing. Includes a guide on Traditional and Modern Wedding Ceremonies. Give your child the best ba zi luck for his future by finding the best date and time for your baby to be born. Narrows search to finding dates which have ALL HOURS Auspicious timing so that should there be any "unexpected" delays in caesarian operation, the child is still good. Identifies the best hours with the most well balanced five element percentage to minimize potential health issues. 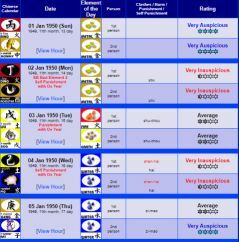 Identifies the Key Character Traits for each hour to help you look for a good overall trait for the child.